Recently, a man in Norway fell on the floor of his bathroom and he suffered from skull fractures. 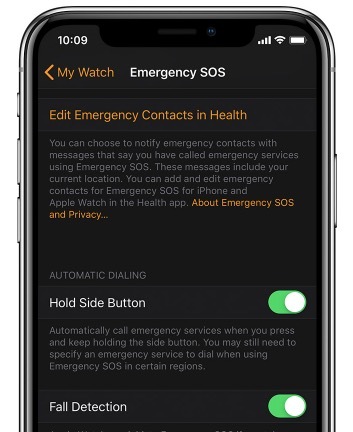 Fortunately, the fall detection feature in his Apple Watch Series 4 summoned the emergency services after it happened, which likely saved his life. Toralv Ostvang, the 67-year-old man, had fractured his face in three places, according to NRK via AppleInsider. It is believed that Ostvang fainted and was discovered “bloody and unconscious” when the emergency services arrived. Ostvang’s daughter Kirsti pointed out that her father did not bring his phone into the bathroom and he did not have any other fall alert devices. When someone wearing an Apple Watch Series 4 falls, the device detects the motion and then follows up to see if that person is still moving. 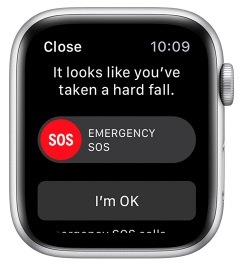 If the person who falls does not respond to their Watch and does not move for a minute, then watchOS notifies emergency services with location data. Currently, fall detection is off by default for users who are under the age of 65 as physical activity can sometimes trigger false alarms. So if you have a history of fainting, I would recommend that you enable the feature. Last month, there was also a report about how the Apple Watch Series 4 saved a man’s life as it detected his atrial fibrillation, an irregular heartbeat complication known as AFib. In that case, Barry Maden bought the Apple Watch Series 4 because of the fall detection feature since he experienced a brain injury in the past. The Apple Watch Series 4 is the only version of Apple’s wearable device line to have a built-in ECG feature. With the Apple Watch Series 4, there is an ECG app that records an electrocardiogram — which represents the pulses that make your heart beat. And it checks pulses to get your heart rate and see if the upper and lower chambers of your heart are in rhythm. If they are not in rhythm, then the Apple Watch Series 4 suspects that it could be AFib.